The Republic of Equatorial Guinea, welcomed leaders from across the African continent and around the world, as it opened the 17th African Union Summit in Malabo. With the theme “Accelerating Youth Empowerment for Sustainable Development,” the conference served as a frame for showcasing the nation’s efforts to improve opportunities for its young people. The country’s call to support African youth supports the African Union goals to create an affluent and peaceful Africa. 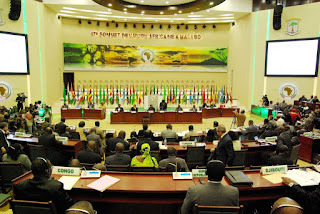 As the African Union Summit host, Equatorial Guinea received heads of state and delegations from the 54 AU member countries and other delegations from outside the continent that arrived in Malabo for the summit. Since President Obiang’s nomination as African Union chairman, the country has worked diligently to build infrastructure to support so many world leaders and it has proved to be ready for an event of this magnitude. The African delegations are hosted at the newly-built Softel Sipopo Le Golf Hotel, delegations are also staying in individual villas in Sipopo which makes it an easy commute to the newly opened International Conference Center where the summit is taking place. The conference center displays several infrastructure projects the country is currently undertaking to improve conditions for its citizens. Equatorial Guinea has also provided other hotels and accommodations in Malabo for members of the media. As the media interested in covering the summit kept increasing, the government made sure to streamline the country’s entry process to ensure international reporters are able to cover the event. The heads of state and government will gather for the 17th ordinary assembly June 30 – July 1, concluding the summit. The Republic of Equatorial Guinea called on African nations to promote a spirit of solidarity and unity to achieve a strong and prosperous Africa at the opening of the 17th African Union Summit. The same message that was delivered by Obiang Nguema Mbasogo, African Union (AU) chairman and President of Equatorial Guinea on his AU chairmanship nomination speech in Addis Ababa. Equatorial Guinea’s Minister of Foreign Affairs, International Cooperation and Francophone Affairs and Executive Chairman of the Permanent Committee of the AU, Pastor Micha, reinstated the need to keep a unity front to promote a spirit of solidarity and unity. “We can never hope to achieve our aspirations for development if we do not present a spirit of cohesion and solidarity,” said Minister Micha. He went on to say that Africa is responsible for finding the appropriate solutions to their problems, as they live in a time when the continent suffers social setbacks in some regions. “For this we need the support of our partners who enable the development of Africa,” said Minister Micha. A roadmap and an action plan have been adopted to overcome these challenges and it is important to carry them out. 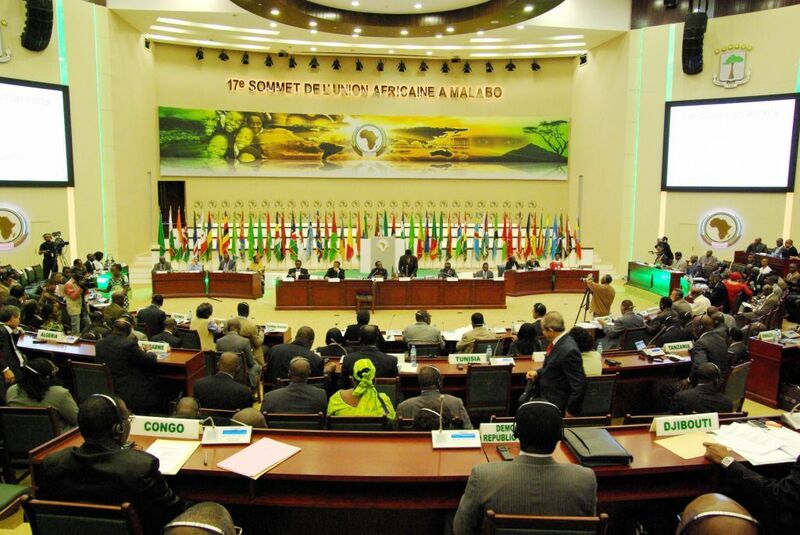 The African Union Summit opened with the 22nd ordinary session of the Permanent Representatives Committee (COREP) taking place at the International Conference Center of Sipopo until July 1st. Early this week, the Ministry of Social Affairs and Promotion of Women launched a Pre-Summit on Gender and Development as a kick-off of the 17th African Union Summit. The Republic of Equatorial Guinea recently added the French language to the official government’s website. The government’s portal can now be accessed in Spanish, English and French, which is the country’s second official language. This is an effort by the government to improve its communications, add to the resources offered by the country, and increase its information delivery for the 17th African Union Summit taking place in Malabo June 23-July 1 with the theme “Accelerating Youth Empowerment for Sustainable Development.”. This is a strong contribution to the country’s progress and to improve its ties to its neighboring countries members of the Economic and Monetary Community of Central Africa (CEMAC), where French is the official language. Since the government website’s launch nearly two years ago, the online portal has reached 458,641 views this past month. The French language will increase the government’s website outreach to a wider community. Equatorial Guinea’s President, Obiang Nguema Mbasogo, signed a presidential decree last week, granting full pardon to 22 persons, who were convicted last year for State security and conspiracy crimes; the prisoners were released today. President Obiang has taken several steps to improve the political system, such as calling for legal reform and a revision of the constitution. This is an effort by the government to systematically and progressively pursue greater democracy and pluralism as the nation develops. President Obiang said the decision was taken freely for humanitarian reasons under the Pardon Law that the Fundamental Law confers on him, which states that “the ideals of peaceful coexistence, civility and reconciliation that encouraged the actions and legitimized the change in policy operating in the country since August 3, 1979, are still valid on the activities of the public powers that constitute the foundation of peace, order and harmony prevailing in the country.” He went on to say the benefactors of this pardon know the people of Equatorial Guinea expect them to go through social rehabilitation to ensure a peaceful coexistence and political stability, both essential predications for the development of the Republic of Equatorial Guinea. In March, President Obiang recommended the creation of a Senate, which would convert the nation’s Parliament from a unicameral to a bicameral legislature, and proposed limiting the president to two four-year terms of office. President Obiang Nguema Mbasogo of the Republic of Equatorial Guinea dedicated 11 new facilities on the island of Bioko on Saturday. The public works projects were designed to improve infrastructure, help combat corruption, and bring potable water to communities. Some of the projects expanded the city’s ability to host visitors and major international events, and were completed in time for the African Union Summit and related meetings, which will take place in Malabo June 26-July 1. President Obiang is the current rotational chairman of the AU. The new infrastructure projects include a passenger terminal expansion at Malabo International Airport, which was completed in a record time of six months. The airport is now fully equipped to receive flights from all over the world. “With these changes the Malabo airport is sufficiently outfitted to accommodate guests who arrive in the country for the African Union Summit,” said the Minister of Public Works and Infrastructure, Demetrio Eló Ndong Nsefumu. Toward the end of a busy day, the President dedicated new potable water systems for the district of Baney and the city of Riaba, a new police camp in Baney, and a new road connecting the cities of Riaba and Moca. The cost of all projects in Baney and Riaba, including the Palace of Conferences, exceeded $44 million (U.S). Infrastructure development has been one of the major focuses of the government of Equatorial Guinea. President Obiang has launched an ambitious program called Horizon 2020, which is aimed at using the nation’s revenues to improve health, education, and the economy in the country. The administration has made rapid progress in improving and expanding Equatorial Guinea’s island and mainland infrastructure. The Annobón airport and trade port, opened last October, are two massive, state-of-the-art infrastructure projects that brought an end to the isolation that used to characterize the island province. The government has also opened two modern hospitals, one in the capital, Malabo, which is located on Bioko Island, and one in the mainland city of Bata. The Israeli-operated hospitals provide modern medical care and serve as teaching and training centers for Equatorial Guinea’s medical professionals and technicians. 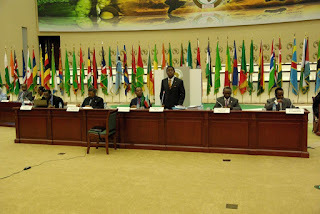 The Republic of Equatorial Guinea recently launched the 17th African Union Summit website. It is an online portal for the next African Union summit that will take place in Malabo at the end of the month. The site contains information about the summit, Africa and Equatorial Guinea. It is a strong contribution to the resources for the upcoming summit.